Last week we went to a cluster meeting where Rebecca Jessen (UoA) presented data she had gathered from the 12 Manaiakalani schools throughout the 2017 school year. The full presentation can be viewed here. As part of on-going reflections, I pulled out a few key slides/groups of slides that stood out to me. Slides 1-31 are about SEA data. SEA stands for School Entry Assessment. I have never done a SEA because I don't have year 1-3 students. 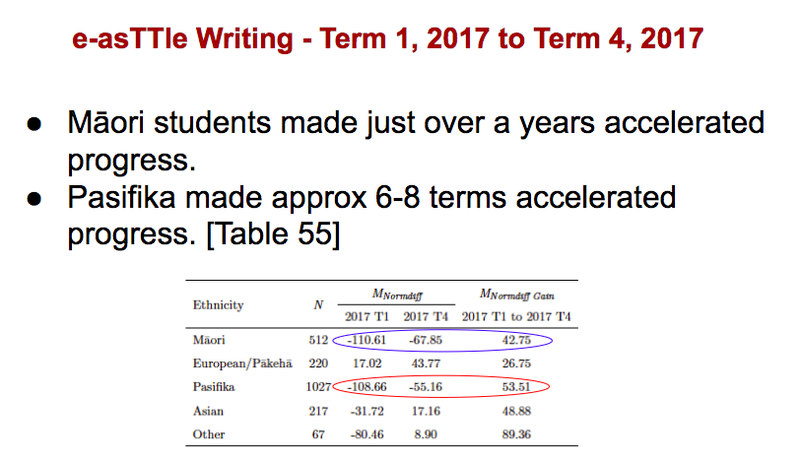 I was really surprised by the data as it showed that our students turn up knowing less than half the alphabet, knowing less than half the things they should about how to read a book (concepts about print) and only being able to write less than 5 words independently. As I have never taught below year 3, this really kinda horrified me. It also made me really appreciate how hard junior teachers have to work to get these kids up to scratch and able to learn to read and write. Slides 32-40 are about JAM testing. JAM stands for Junior Assessment of Mathematics, and from what I have heard is a very long and comprehensive test of their number knowledge and strand knowledge. I have never done a JAM test myself as my students sit GLOSS tests. 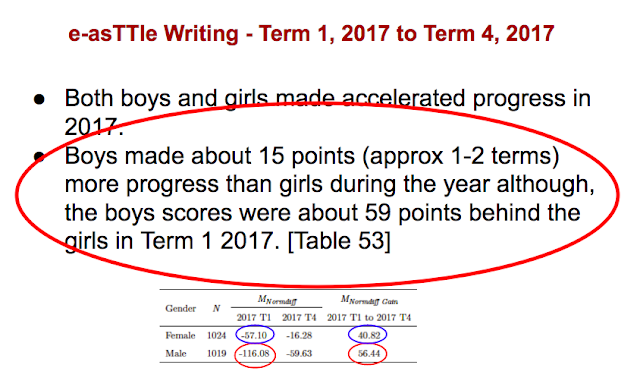 It's sad to see that there are gender gaps for maths achievement at the end of years 1, 2 and 3. How could boys be better at maths, at 5? Slides 41-45 are about STAR tests. I have administered STAR test before, when I had year 3 students. Currently I am teaching year 5/6, who do not sit STAR. These results are sad. There is no bell curve. There is a left-side-heavy kind-of-almost curve.. saying that more of our students are below average than above, with a big chunk sitting at what would be 'at' standard. Slides 45-59 are about E-asttle writing. This test, all students do at my school. Even the kids in new entrant who can't write their own names. Everyone does it for this data collection. I understand that we need standardised tests, but I would also point out that marking writing can be very subjective and moderation can causes heated debates. 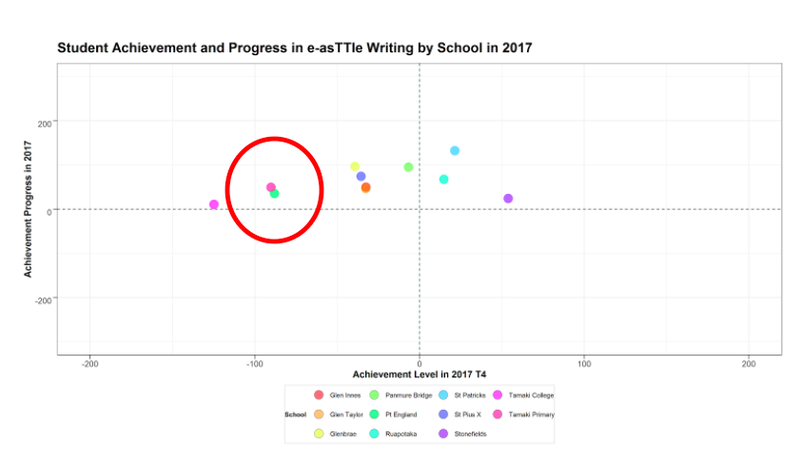 This is the overall shift for E-asttle writing. I have circled the pink dot that represents my school. I think (correct me if I'm wrong) that this means we made small progress with our students? This is encouraging because we are always being told that boys don't achieve in writing, particularly Maori boys. Well according to this, they made more progress than the girls did, which means they are slowly catching up! This I couldn't think of any reason for.. so any ideas let me know! Slides 60-85 are about PAT maths and PAT reading. Our school does sit both of these tests (year 4-8), however we use other tests such as GLOSS for maths and PROBE for reading to inform our on-going teaching. Something I thought about is why our students typically do poorly on these tests. Is it because they don't like sitting online tests? Is it because they learn collaboratively and then test individually and that makes absolutely no sense? Is it because the content of the test is different? Is it because they don't understand how to sit the test (multi-choice answers)? I don't know the answer to this, but it is worth thinking about. Is there anything I can do differently so their PAT results would more accurately reflect their in-school data? I don't know. The highlights of this data session for me was seeing how amazing our new entrant/year 1-3 teachers are and how hard they have to work in such a short amount of time, and also seeing that we are making progress in writing (across the cluster). Kia haka all! We are making a difference! This week I really wanted to put effort into starting my CoL inquiry, and the best place to start from is where I currently am. Here is my first #CoLweeklyupdate. The overall focus for Manaikalani schools this year is oral language. Many have noticed (and some have already started researching...) that our 5 year olds turn up to school with the oral literacy of a 3 year old. Hence, they are behind from the beginning. This also contributes to issues later in their schooling lives, as they do not have the vocabulary and/or confidence to express their feelings, thoughts and thought processes and reasoning behind their actions. So, Manaiakalani has this cluster wide focus on oral literacy in hopes of changes those things. 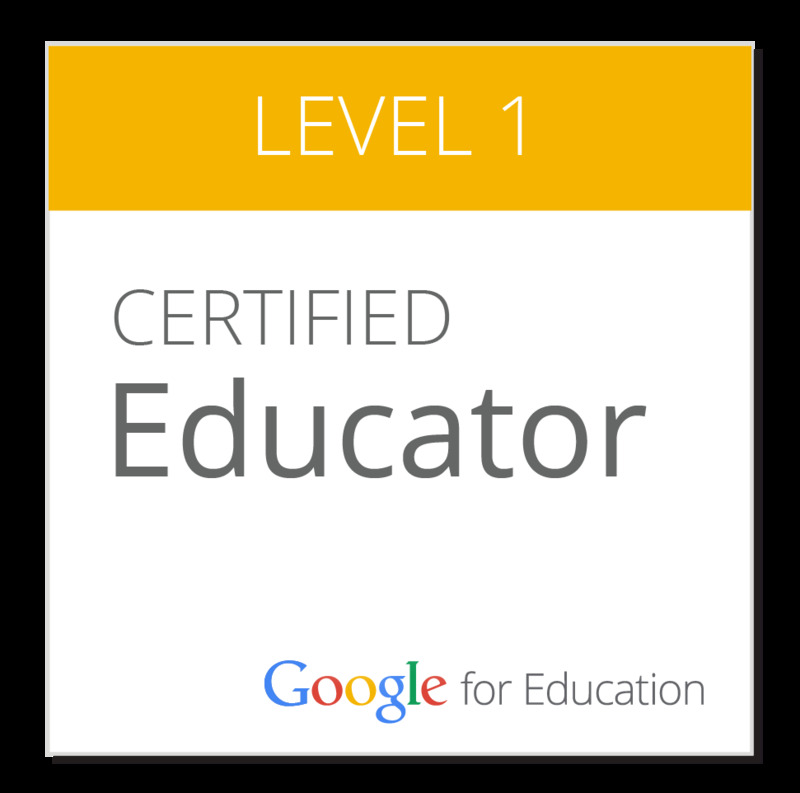 across school levels and curriculum domains. Words are the key to accessing everything - spoken, read or heard. Words matter. Imagine.. what do you know, what don't you know and what could you learn. I wouldn't know.. how to describe what I saw, name the items I needed, describing the actions the person did (i.e. fold in half, pressed the tape down, bent the wire). I would maybe be able to... think about what I could see in my own language in my head. with language can we pick out, go further, clarify, define etc etc. Without words, you can't do any of that. A mixture of spoken, heard and read gives you more access to the words, or potentially more to connect/discuss between these mediums. We should focus on the actual words as well as the meaning those words carry. They should be involved in the words. CoL stands for Community of Learning. Manaiakalani has essentially been a CoL since it began, which was before CoLs even existed. With this 'head start' (of years of collaboration), Manaiakalani were ready to take on CoL leaders and immediately get into inquiries. What is a CoL leader? CoL leaders are people within and across schools who, with the support from their principals and BOTs, do in-depth inquiries into a particular area of their own practice. Manaiakalani has 6 CoL goals and 23 CoL leaders. Details about these goals and the leaders can be found here. The other aspect of the CoL leader is to feed back to their school information from the cluster and be a sort of go-to person within their school for support and help. Why are we here? What is our purpose? so that students learn in better and more powerful ways.."
Essentially - we are here make learning better for students through professional high level inquiries. Our inquires will be supported by the Wolf Fisher Research Centre at the Univeristy of Auckland. Build your own knowledge around this challenge. 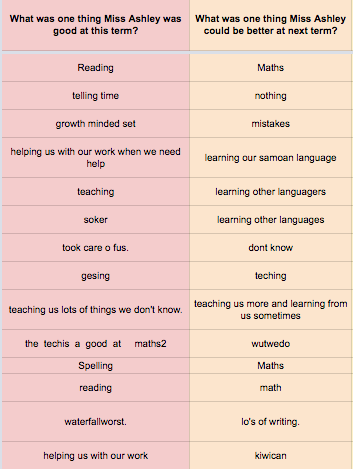 We will also be collecting regular evidence through our blogs using the following inquiry framework, and blog labels. These are the Manaiakalani CoL labels.